The phrase High Throughput Satellite (HTS) can, at times, understate the extent to which HTS technology is indeed a great leap forward for SATCOM. Traditional FSS widebeam satellites have tended to see a capacity of around 20 to 50x 36 MHz transponder equivalents (TPEs), which equates to between ~1 and ~5 Gbps of capacity. 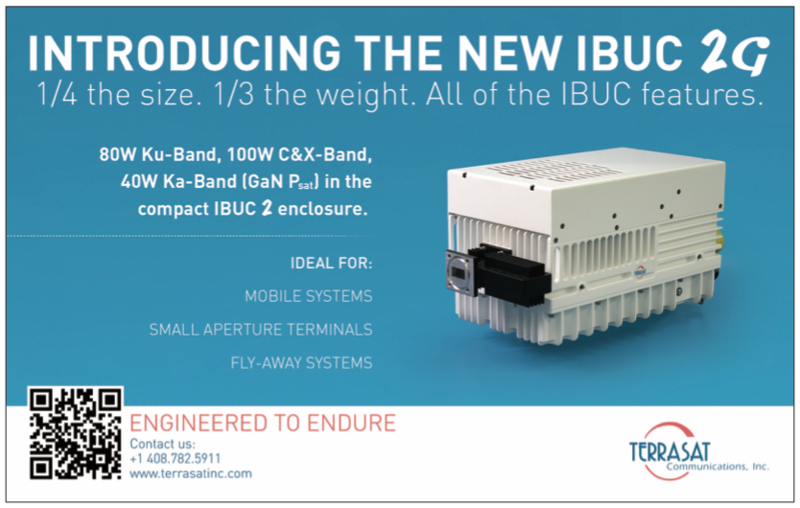 High throughput satellites, on the other hand, oftentimes see capacity exceeding 30 to 40 Gbps, and in some instances, capacity of more than 100 Gbps. Clearly, if all capacity is created equal, and if pricing were to remain stable, HTS would be an absolute boon to satellite operators everywhere — this is even more pronounced given the fact that the cost to manufacture and launch HTS is generally not that much more than traditional FSS, which is generally ~1-1.5x the cost. However, the world we live in does not work as such, in the sense that not all capacity is created equal and prices are far from stable. Rather than being a boon for satellite operators, HTS has instead complicated the market, leading to overcapacity and falling prices. This has complicated “build it and they will come” HTS business models, such as Avanti, which has found that offering cheap capacity post-launch on the open market is not a business model for success. This therefore begs the question of, how can satellite operators best monetize these significantly larger, but not that much more expensive assets? One way of moving more capacity is to build out a distribution network that allows a company to sell into new, ideally larger/scalable markets. This might include, for instance, a satellite operator trying to build out a consumer broadband distribution network. However, procuring a distribution network can be extortionately expensive, with an example being the 2009 purchase of WildBlue by ViaSat for $568 million. This purchase, aimed to help distribute capacity on the ViaSat-1 satellite that launched in 2011, ultimately cost significantly more than the satellite itself (~$400M). Beyond the challenges of distribution network, building a scalable HTS platform will inevitably run into the challenge of demand/supply optimization. In short, a satellite with a few very large beams will generally have less capacity than a satellite with many small beams. However, a satellite with many small beams will tend to see some beams fill more quickly than others. When beams fill, customers on those beams will either need to see lower speed, lower availability, or both. 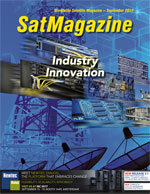 This “beam saturation” has been a challenge for both Eutelsat in Europe and ViaSat and Hughes in North America. The most apparent way for a satellite operator to address the challenges of HTS is to bulk lease HTS capacity, ideally pre-launch. This presents some challenges as well, namely the decrease in bargaining power a satellite operator will see if a telco or service provider is responsible for delivering the capacity to the customer, with this likely leading to a large decrease in price paid for capacity. However, with the massively increased scale of HTS, even dramatically lower prices can and should lead to an increase in revenues. As discussed in detail in NSR’s Global Satellite Capacity Supply & Demand, 14th Edition (www.nsr.com/research-reports/satellite-communications-1/global-satellite-capacity-supply-and-demand-14th-edition/), GEO-HTS supply will outnumber GEO-FSS supply by a factor of approx. 10:1 by 2026 (from around 1:1 today). To take a real world example, late 2015 saw the pre-launch lease of the entirety of Telesat’s Telstar-19 South America GEO-HTS coverage to Hughes Network Systems. The 15-year contract obliges “Telesat to deliver Ka-band capacity of 31 Gbps on Telstar 19 Vantage.” To put into context the extent to which 31 Gbps is an extraordinarily large number for satellite operators, we can look at the data from NSR’s Satellite Operator Financial Analysis, 7th Edition (www.nsr.com/research-reports/financial-analysis/satellite-operator-financial-analysis-sofa-7th-edition/), which finds that the average annual revenue per satellite across ~25 satellite operators was around $42M per year for the 2012-2016 period. 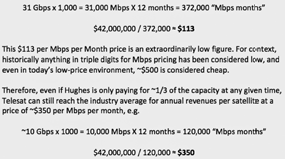 Using this as a baseline, we can play with Telesat’s 31 Gbps number to ascertain an approximate required price per Mbps. The above example is far from the only one of a satellite operator bulk leasing a large amount of an HTS payload pre-launch, and as the above arithmetic shows, there is room for what would be considered a large “wholesale discount” to a telco or other distributor. Other examples of this type of business model include SES bulk leasing much of the HTS capacity onboard SES-14/15 to IFC provider Gogo, Hughes do Brasil buying the entire Eutelsat 65 West A HTS payload over Brazil, and Gogo leasing a large amount of Intelsat EpicNG capacity for IFC. Last but not least would also include the ill-fated Facebook bulk lease of Amos-6 capacity that went up in flames in September 2016 in a pre-launch explosion, but the bigger picture takeaway is that HTS opens big and scalable markets. The implementation of HTS capacity has already disrupted the market for satellite capacity in more or less all regions. 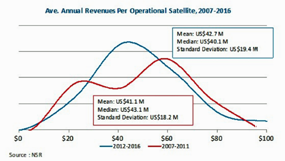 As NSR reported in its Satellite Capacity Pricing Index, 3rd Edition (www.nsr.com/research-reports/financial-analysis/satellite-capacity-pricing-index-3rd-edition-q3-2017/), prices have fallen dramatically over the course of the previous few years, and moving forward, this trend is expected to continue. However, lower pricing does not necessarily equal lower revenues, with the total addressable market growing markedly. In a world increasingly dominated by HTS, the keys to success for satellite operators will lie in being able to sell capacity in bulk, while maintaining a degree of bargaining power and value-add. In the instance of operators like Avanti, which has pursued an “if you build it, they will come” strategy, the message is clear—satellite operators need to design GEO-HTS (or Non-GEO-HTS) payloads with anchor clients in mind, or ideally, with pre-committed anchor clients helping to design the system itself. What was considered a “nice to have” in the satellite industry historically is increasingly becoming an absolute necessity for success. 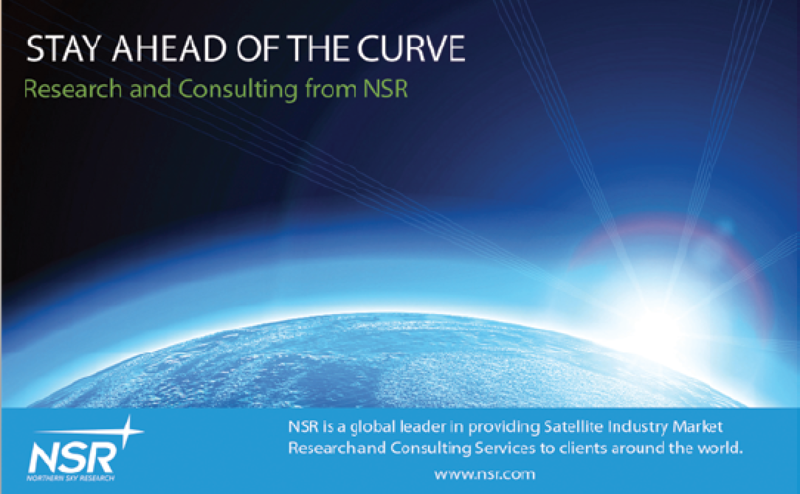 Mr. Curcio joined NSR in 2012, following a position as project manager in Shenzhen, China, and is the lead author of NSR’s Global Satellite Capacity Supply & Demand (GSCSD) report, Satellite Operator Financial Analysis (SOFA) report, and Satellite Capacity Pricing Index (SCPI) report. As head of NSR’s satellite finance practice, Mr Curcio’s areas of coverage include development of HTS, how macro industry trends impact operator finances, and global satellite supply. He regularly leads consulting projects related to asset valuation, business model validation, and contract analysis. Mr. Curcio has previously worked with SES in The Hague as a strategic marketing intern, where he helped develop a strategy to increase the company’s share-of-wallet with key European customers. His prior consulting experience also includes a market-entry strategy project for SGS International, aiding the company’s entry into the Mainland Chinese market. Blaine speaks English, Chinese, and Italian. He obtained a Bachelor of Science Degree in International Business from Illinois State University.